For over 100 years Montblanc writing instruments have been standard equipment for Presidents, celebrities and writers – everyone ranging from Ernest Hemingway to Anne Frank to F. Scott Fitzgerald. Each pen is handmade in Germany to the highest standards of craftsmanship and is a timeless tribute to sophisticated style. An icon of writing culture, The Meisterstück (or Masterpiece in English) revolutionized the world of exclusive writing instruments when it was introduced in 1924 and continues to set the standard today. 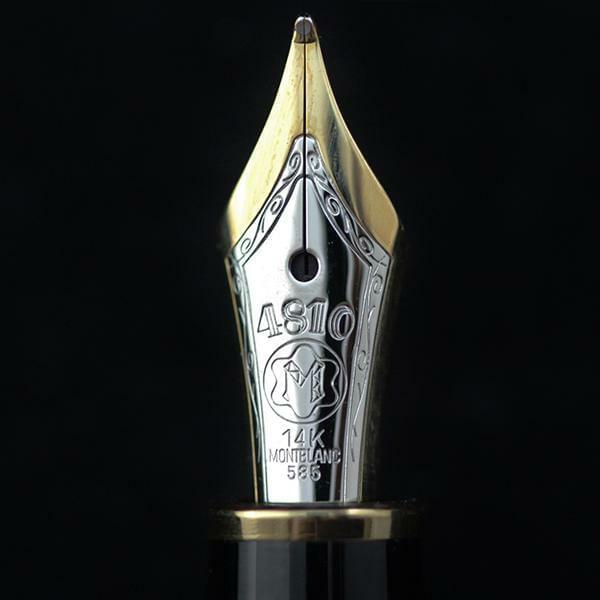 The fountain pen features an 18 Karat gold nib crafted by hand in over 30 steps and a piston mechanism to replenish the ink.